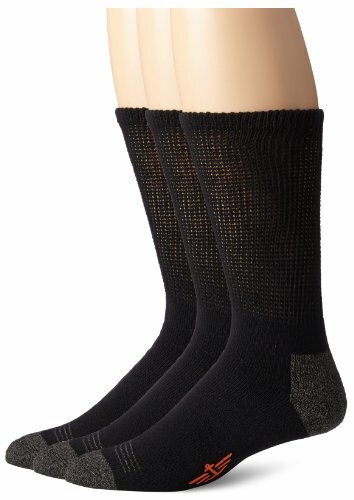 Dockers non-binding casual crew socks. Designed for sensitive feet. The relaxed rib cuff reduces pressure on the calf and is easy to put on. The foot bed is cushioned for added comfort. Dockers, authentic khaki style for a Man of Action. Our socks display the quintessential cool confidence of Dockers. Designed with style to be uncomplicated; masculine and easy going. Dockers is the go-to brand for your dress and casual sock needs.